It is time for another MommyMaestra printable! 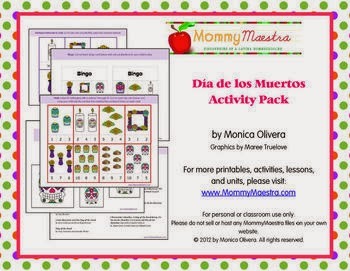 My latest Día de los Muertos download was designed to keep los nenes busy this weekend while teaching them basic counting, graphing skills, cutting practice, and so much more. So head on over and get yours. It will be free through this Sunday. And please, if you download this printable from my TpT store, please leave some feedback.